Another installment in my photos from ten years ago series – this time September 2005. 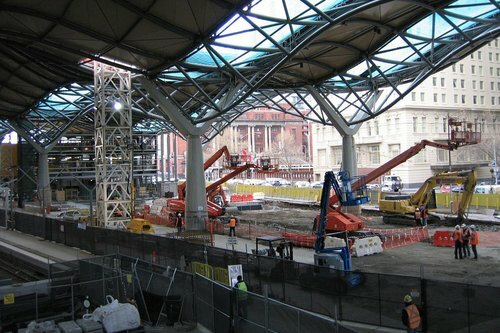 The main concourse at Southern Cross Station was still unfinished, with passengers having to navigate around the worksite. 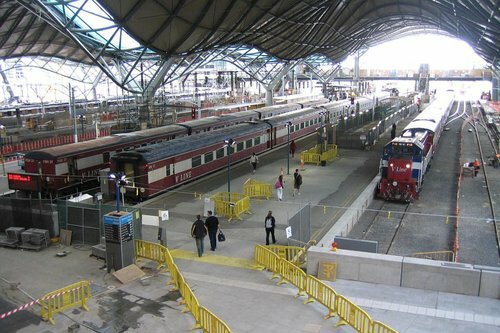 Platform 16 and 16 didn’t yet exist, but the concrete deck above them was under constitutions. 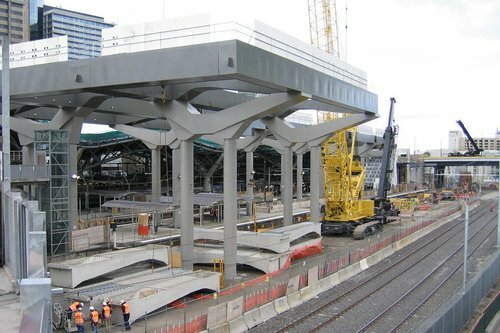 A pair of large mobile cranes were used to lift the steel and concrete into place. 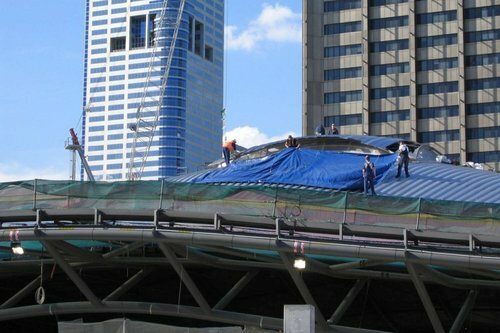 Workers were crawling all over the roof. 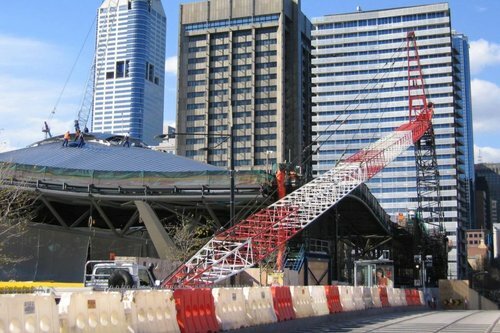 But the three tower cranes were on the way down – a large mobile crane on Collins Street was used to remove them. 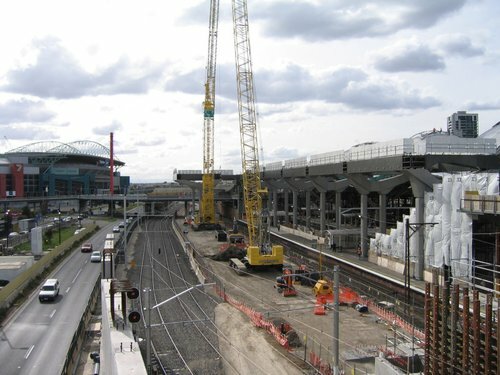 With the 2006 Commonwealth Games closing in soon, on the other side of the CBD there was more construction – the William Barak Bridge that links Birrarung Marr and the MCG. 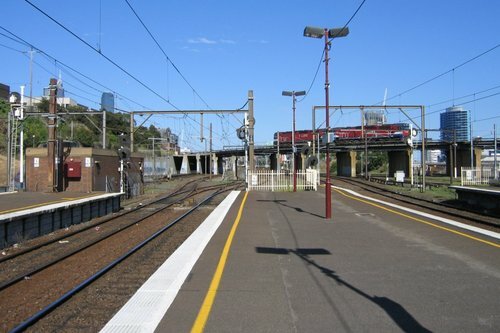 But over at North Melbourne things were looking the same as the 1990s – brown brick, windswept platforms, and no concourse at the city end. The full photos from ten years ago series. For me the worst features of the older carriages are cramped 2+3 seating, and the musty air from the ancient air conditioning systems.